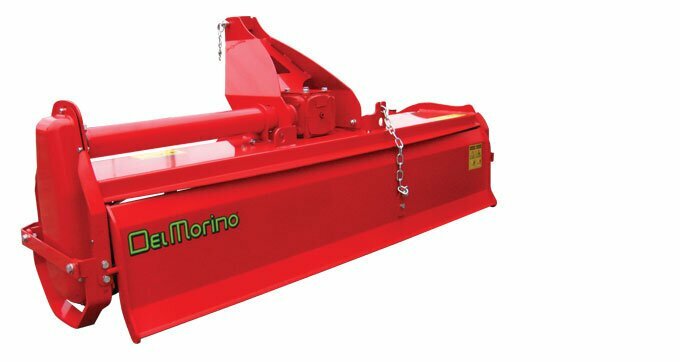 Del Morino tractor rotary hoes are high quality tractor implements that are precision-engineered in Italy and sold worldwide. 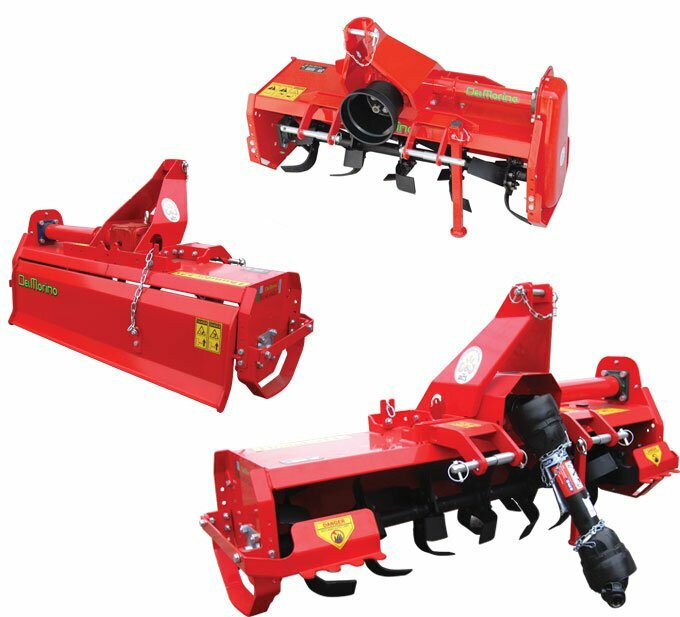 Del Morino tractor rotary hoes are extremely durable and suitable for commercial applications as well as lifestyle farms. > Del Morino Rotary Hoes on sale – prices here! 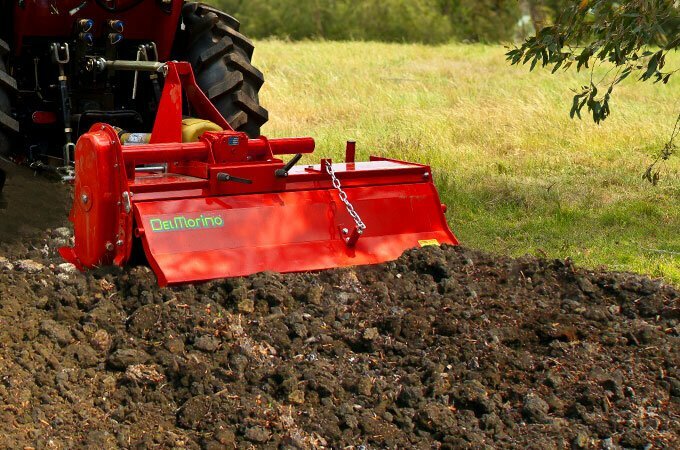 A Del Morino rotary hoe provides the first steps in a friable, productive soil. A quality rotary hoe attachment should last for years and Del Morino rotary hoes do just that. They are back by a two-year factory warranty. SOTA is the exclusive importer of Del Morino rotary hoes and we sell directly to our customers; our prices are extremely competitive. Del Morino Thunder rotary hoes are light, yet rugged rotary hoes, allowing accessibility in difficult to reach areas. They are ideal for orchards or vineyards. Specially designed hoes ensure deep and uniform tilling, down to 6-7 inches (15-17cm). An automatic chain-tensioning device eliminates the need to adjust the chain while accessible greasing and oil level check points make for easy maintenance. From top to bottom: Del Morino Thunder rotary hoes T105, T125 and T145. The Del Morino Eagle rotary hoe combines functionality and power to break up the ground into a fine tilth. 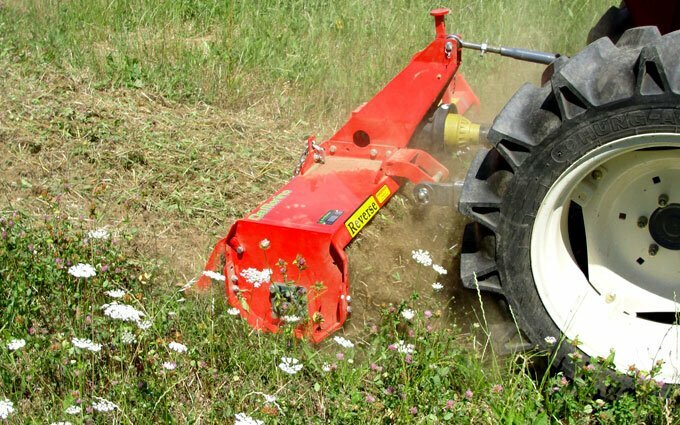 It is ideally suited to medium-sized tractors, from 45hp to 65hp. The Del Morino Eagle fixed rotary hoe comes with four blades per flange as standard, with a six-blade option available. The Del Morino Eagle rotary hoe offers a choice of 4 or 6 blades per flange. 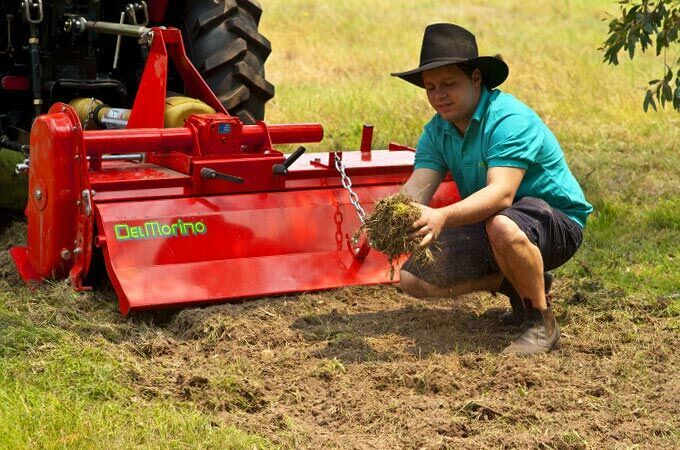 The Del Morino HRA series are heavy duty rotary hoes for higher horsepower tractors, from 85hp to 120hp. They offer six blades per flange and adjustable lower arm attachment points. The HRA is a heavy duty rotary hoe for tractors 85-120hp.